It IS pretty sweet when you see how getting closer and closer to home provided serious motivation for Doug. 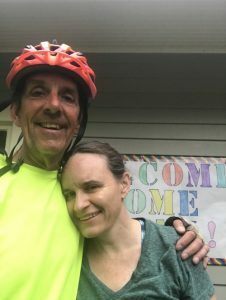 He logged in yet another “century day” (100+ miles) to get into Kent, OH and once again see the face of his wife, Jena. Enjoy that rest, Doug and we’ll see you in Youngstown on Friday! Go to our SMARTS website at https://www.smartsartschool.org/going-the-distance-for-smarts-donation/ to “Donate By The Mile.” $5 = each mile so please donate for 1, 5, 10, 20, or more miles. 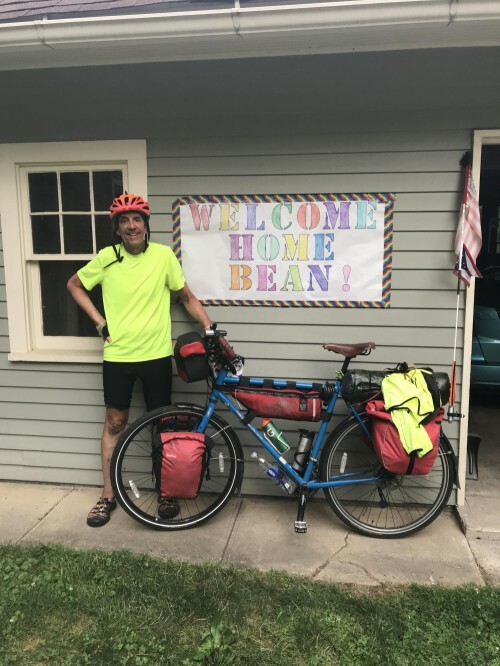 Please help make Doug’s remaining trek from Kent to Virginia Beach as successful for him and SMARTS as possible!